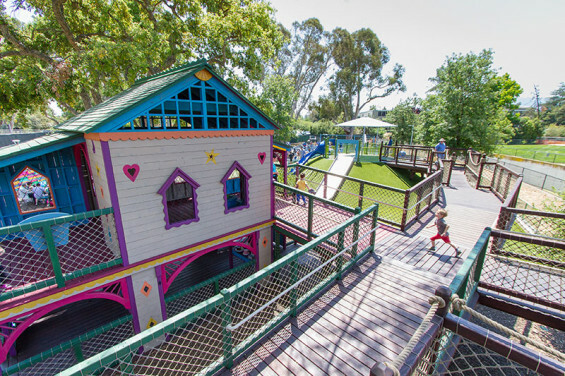 The Magical Bridge Playground in Palo Alto, California is one of the nation’s most innovative inclusive playgrounds — allowing every child and every parent the opportunity to play. Children can move through the trees on an elevated walk and swing, sway, spin and slide, all on surfaces and equipment without barriers. 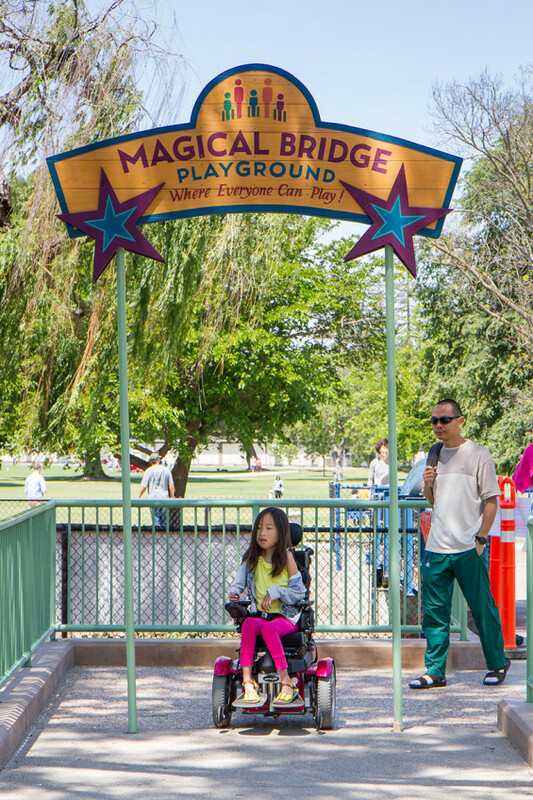 The Magical Bridge Playground is about bridging the physical and social barriers which prevent children of all ages and abilities from uniting together in play. Here children are powerful, not passive, able to take risks, climb higher, think harder, and foster friendships through play. 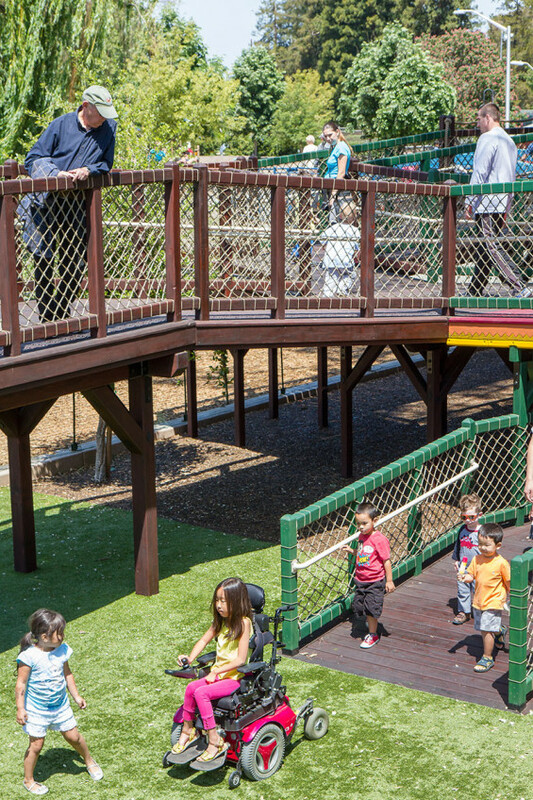 By meeting the diverse developmental needs of children through universal design, the bridges we are building are physical, intellectual, communicative, sensory, and social; to embrace a truly inclusive place where all children can experience equality of opportunity, full participation, and independence in play. Working with the Friends of the Magical Bridge and the City of Palo Alto, RHAA Landscape Architecture + Planning designed the playground to not only bridge the physical and social barriers which prevent children and adults with challenges from uniting together in play, but also takes the concept of inclusive play beyond standard ADA regulations. 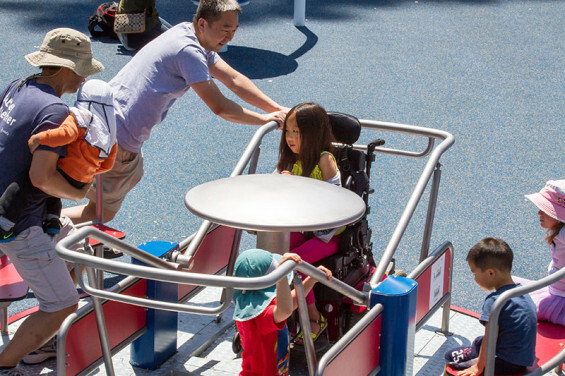 The playground design addresses issues beyond access such as the need for an autistic child to retreat at times of excessive stimulation or the needs for play for children who cannot transfer out of their wheelchairs. 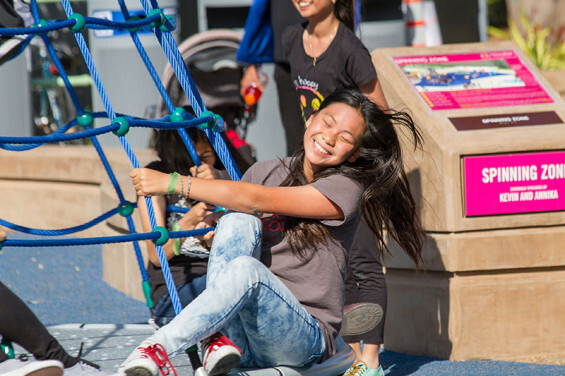 The playground was the brainchild of the Friends of Magical Bridge and the City of Palo Alto. 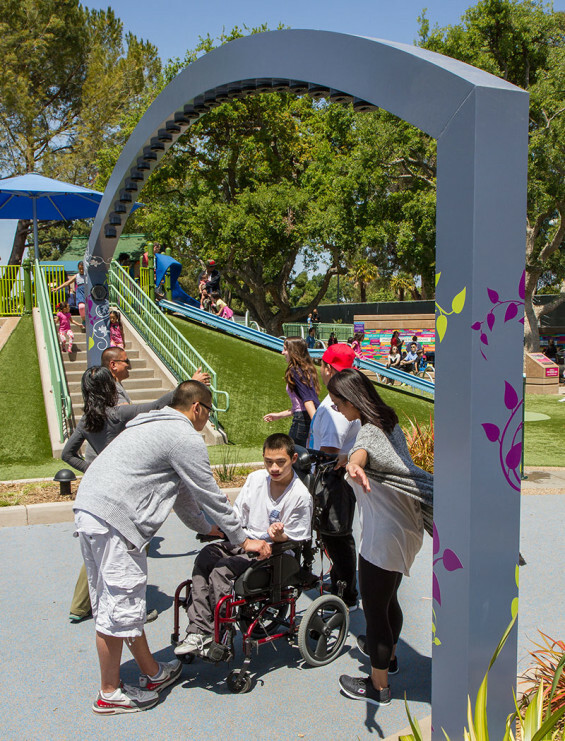 RHAA Landscape Architecture + Planning implemented their vision to give children of all abilities the opportunity to play independently and cooperatively. 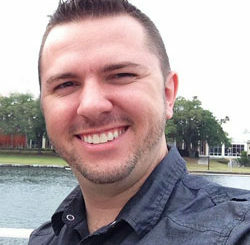 Hundreds of people attended the Magical Bridge Playground opening on April 18th. 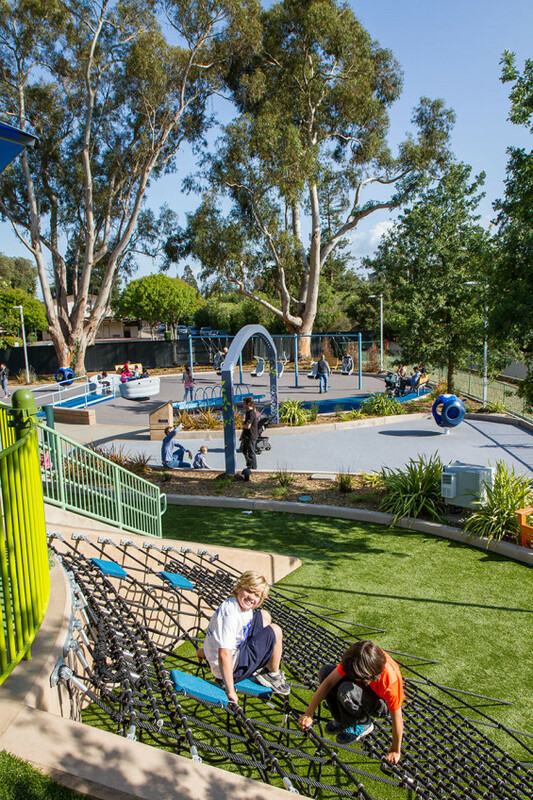 The playground continues to draw large crowds, including families from as far away as the Central Valley of California, proving that the playground is an immense success. The glee on the faces of children with such diverse needs as children in wheelchairs spinning or swaying or autistic children peeking from cozy cocoons is testament to the success of the design. 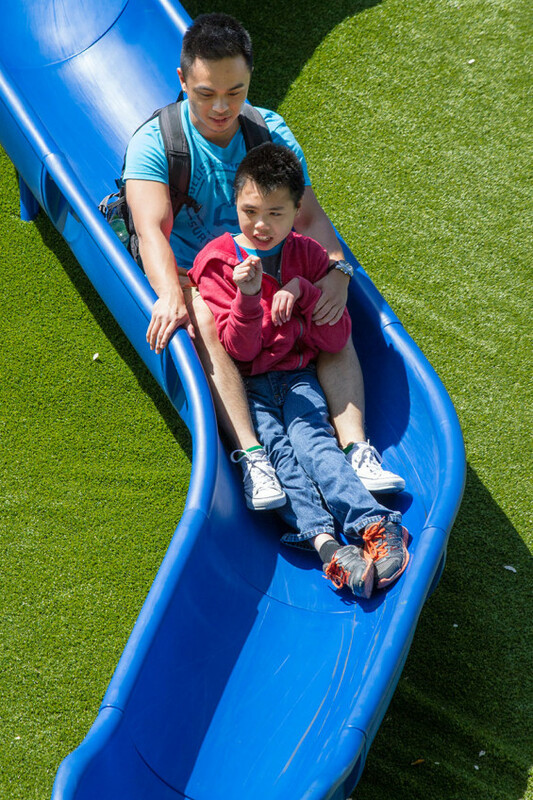 To help children who may be unable to learn quickly how to maneuver through a large space, the playground has distinct zones for different types of activities: spinning, swinging, sliding, climbing, and creative play. These zones have identifiable boundaries and a consistent ‘feel’ to support childrens’ understanding and behavioral expectations, as well as comfortable supervision and safety. Each zone has a multi-sensory entrance with tactile paving, a unique sound experience, gateways as a visual feature, and visual mapping of the play opportunities found in the zone. The play opportunities are diverse, to meet the diverse developmental needs of children without segregating by one’s ability to participate in a particular type of activity. Here we play together. 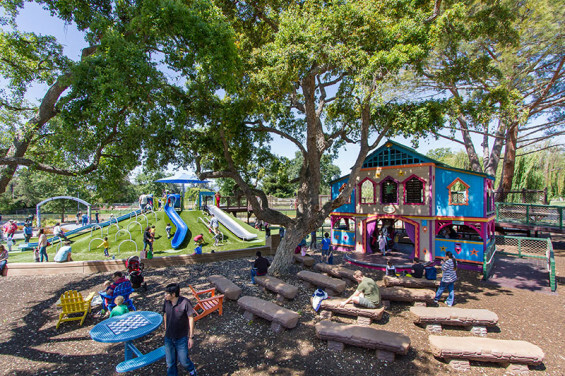 Within these spaces, children can use their imaginations in a colorful two story playhouse, designed by Barbara Butler, run or wheel through a large laser harp that plays music, spin until dizzy on five types of spinners including one which accommodates wheel chairs, swing or sway on three varieties of swings and a sway boat and slide down three different types of slides. Braille maps and textured paving orient visitors with visual challenges. Every child can play and interact with other children of varying abilities. Construction Administration Landscape Architects | Verde Design, Inc.
Ornamental Wood – Tree/Play House | Barbara Butler Artist – Builder, Inc.
Landscape Contractor – Planting and Irrigation | RMT Landscape Contractors, Inc.
Ornamental Metals (Custom Roller Slide Bench) | Melrose Metal Products, Inc.
Design Build Electrical | Sprig Electric, Inc. Structural Engineer | AKH Structural Engineers, Inc.